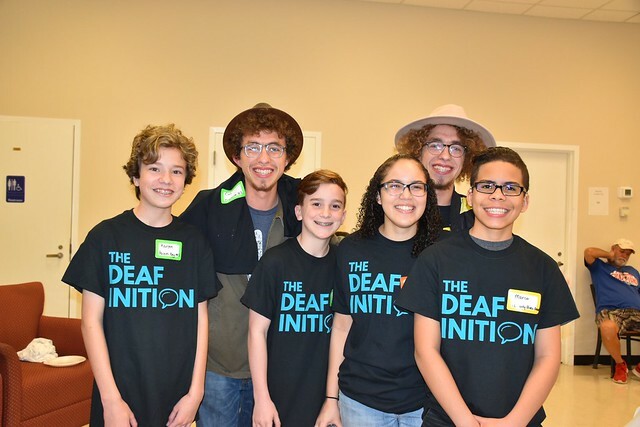 Several Clarke Jacksonville alumni participated in “Deafinition,” a vocabulary competition hosted by St. Johns County School District for middle and high school students who are deaf or hard of hearing. “Participating in the competition is a fun way to connect with old friends and meet other students who are deaf or hard of hearing,” explains Karsen Morris, a Clarke Jacksonville alumnus who is now in seventh grade. Students prepare all year for the “vocabulary bee” and, in doing so, enhance their listening and spoken language skills. We’re excited to announce that Clarke alumni won first and third place in both the middle and high school divisions!